We are a leading Exporter of plastics moulding parts from Faridabad, India. 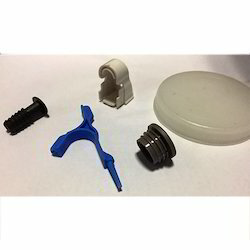 We provide a wide range of Plastics Moulding Parts that are manufactured using quality raw material procured from reliable vendors. Our team of quality checkers thoroughly checks our range at every stage of production.